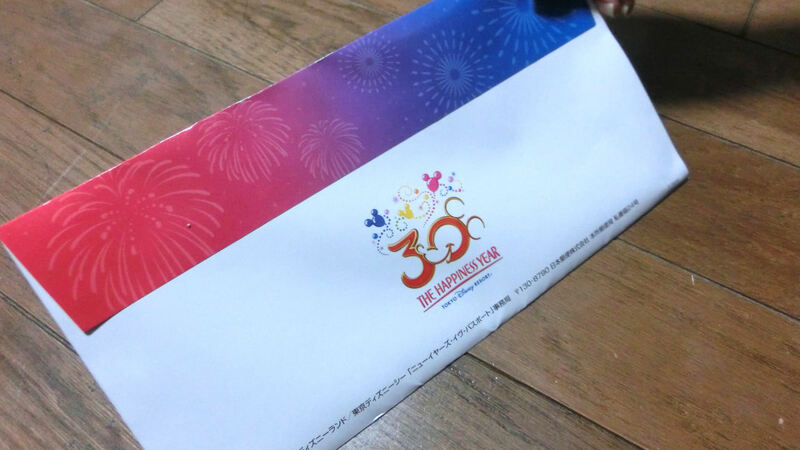 At Tokyo Disney Resort every year there is a New Year’s Eve event. 2011 was the last Countdown Party to have special shows, but it is still a very exciting event. I put my name into the ticket lottery in September and spent a very long month waiting for the results. I’ve been applying for the past few years, but had never heard a peep so I wasn’t very hopeful. BUT…! Yesterday night when I came home there was an envelope sitting in my post box. Mr. Panda tried to hide it from me, but I had already seen the logo on the back! 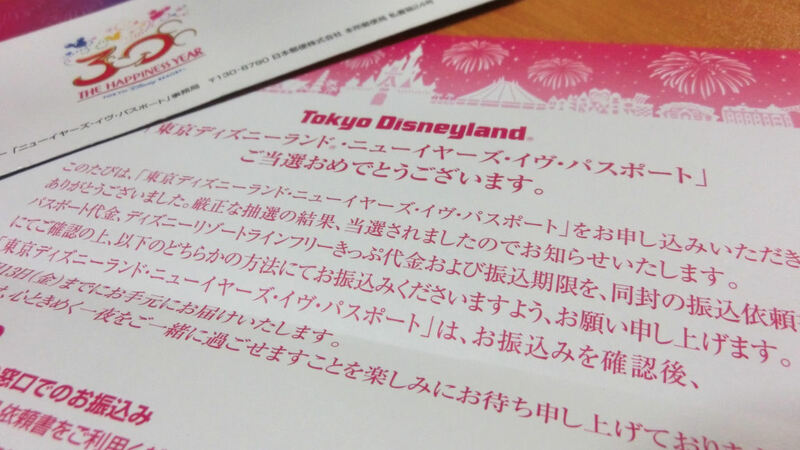 It was from Tokyo Disney Resort! 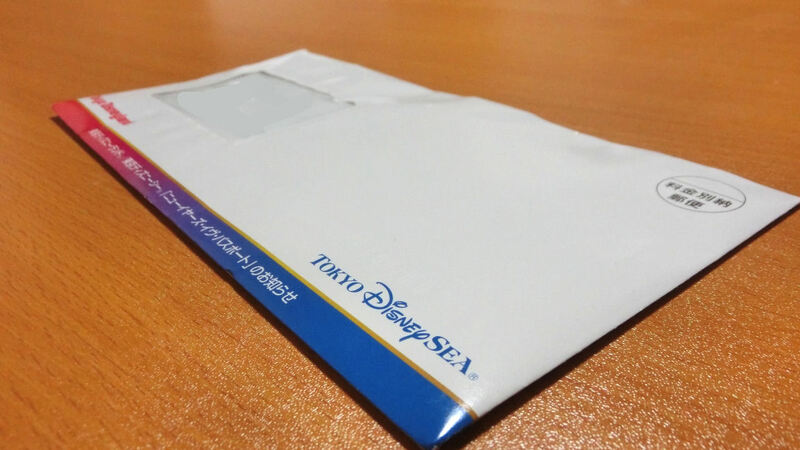 Unfortunately we do not win the actual tickets to the event, just the opportunity to purchase the tickets, but since this was my first year even getting a letter from Disney I am very happy! I know that many people go from early morning to line up even though the tickets are not good until 8 pm. I don’t know much else about the event and am going to have to study up on it as it’s a once in a year…maybe once in a lifetime event and I don’t want to miss out on anything! Here’s the back of the envelope with the magical logo on it! I think anyone would be excited to see this in their post box. if Im staying that night at the celebrations hotel do I have guaranteed ticket for th countdown party? how much is a ticket for that party? What was the whole process to getting these tickets? What website did you go to? What did you do exactly? When did you apply for the lottery? Love your blog! Great way to get a different Disney fix from the states. You keep mentioning ticket lottery in your post and we don’t have those here. What are they and how do they work? Is it like a FP? Oops, sorry for the confusion! Lottery for the countdown means that I applied for tickets and was picked randomly and given the privilege to purchase tickets. In park lottery for shows such as Big Band Beat at DisneySea or One Man’s Dream and Once Upon a Time at Disneyland means going to the lottery machine and trying to win reserved seats with your passport, which can be done once a day. I live in Australia and I am hoping to be able to go to Disneyland for new years. How would I be able to sign up to the lotto seeing as I live overseas? Also is Disneyland open on new years day? if so, is it busy? You can apply for tickets both from the internet and by sending in a post card, but I believe you need to have an address in Japan. Perhaps you can sign up with a sight such as Tenso or maybe a PO box service that will provide you with an in-country address.